I really enjoy Nerina Pallot’s music because it’s what I would term "contemplative pop". That is, it’s got all the attributes and hallmarks of pop music, but it delivers a much more thought-provoking experience through beautifully crafted, profound lyrics across a variety of vibes. Her music has the most amazing, beautiful ability to somehow penetrate a closed mind and resonance with one’s most inner unthought thoughts and feelings. Listening to it is an experience in self-realisation. "To describe Nerina’s new album as a departure from its four predecessors is too tame a way to say she’s changed". Just like an ever increasing number of artists, Nerina Pallot funded and promoted The Sound and The Fury through a crowdfunding platform, this one called PledgeMusic which is specifically geared towards such a purpose. As usual, there were a number of tiers, however the only one beyond the basic signed album tier that caught my eye was an option to purchase the complete set of EPs from the Year of EPs in a collector’s case. I was interested, until I worked out it would cost multiple hundreds of dollars!! As much as I would like to own all those EPs (digitally or physically), I am not willing to spend that much. That said, I appreciate that the option was present, so that I didn’t feel like I’d totally missed out. So, the rest of this review follows my usual album review format, with one tweak. I’ve written what previous song/s each track reminds me of (the album it comes from is in the brackets), and ranked it on this album, as well as writing a short comment about each track. Additionally, if a track was originally on one of the Year of EPs releases, I’ve also listed which one it came from (thanks to medevac’s review of all 60 tracks (!!! ), so I could work out which came from where). Plus there’s an overview of the album as a whole at the bottom. The track opens with a folksy, indie rock sound, then it turns tribal. Beautiful strings fill out swells and bring vigorous emphasis to the stings. There are a variety of instruments in here, but unsurprisingly the drum forms the strong backbone that drive it on. It really makes your blood pump. The guitar that runs throughout this track instantly brought to mind Clare Bowditch’s song Yes I Miss You Like The Rain (What Was Left). In between the plinky guitar, we’re hit with catchy lyrics and elegant piano. This is one of those songs that from the very first moment, you know you’re going to have it stuck in your head. It’s upbeat with solid lyrical and musical hooks that sink into you deep. I can definitely imagine it being picked up for some TV show or movie, thanks to its explicit use of metaphorical imagery, which some storyline can directly tap into. Apart from an odd electronic opening, this country blues style song pulls no punches with its message. It’s direct, clear and cuttingly to the point. It also somehow reminds me of Lily Allen. This song has some great sections and a deep mixture of feelings and sounds. It opens with the most electro-synthy moment on the whole album, which continues to play in the background. There’s a paired back section, there’s catchy sections, there’s evocative sections. However, I’ll admit, the story it was trying to tell confused me, and repelled me. A low key track that slowly builds with a choir of voices, until it piques with a weird zappy organ sound playing a baroque style melody. Chilling yet peaceful. This song has a punchy blues roots feel that carries it along. As it goes on, other elements are piled on, which leaves it feeling busy in places. An plain, acoustic version would really appeal to my bluesman sensibilities. Upbeat, yet laid-back, this track feels like an extension of Handle (track 6), in an 80s style. A fusion of electro and Middle Eastern influences, with just a whiff of American country. And as the guitar fades away, you’re left with an outro befitting a sci-fi soundtrack. Another example of just how good a song writer Nerina Pallot is. This track feels like a slow burn, building up to a really powerful moment. Except that moment never arrived. Instead it remains very restrained. It’s false ending makes it a perfect closing track for the record, but it left me disappointed that it didn’t deliver that final punch. As I initially listened to this album, I thought it doesn’t sound drastically different from the rest of Nerina Pallot’s work. Despite what the blurb for the album says, the songs presented within definitely sounds like her. That said, even though each track above is presented with songs that they "remind me of", none of the songs on The Sound and The Fury immediately reminded me of any other Nerina Pallot songs (although a few did remind me of other artists, as I mentioned). 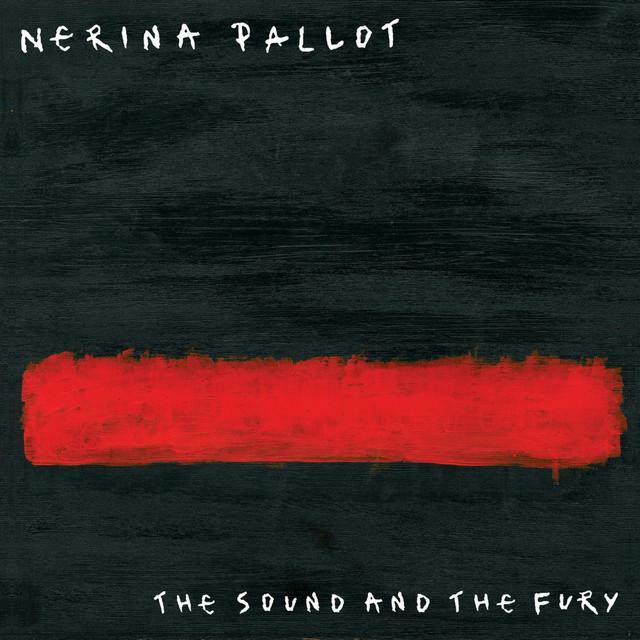 While they are distinct, displaying styles and moods not common in her previous releases, every single track on The Sound and The Fury sounds characteristic of Nerina Pallot in one way or another. Each have many layers of musicality. Piano and guitar are still prominent instruments, however the presence of electro synthy beats permeate the record. I personally craved some horns or brass like on "I Don’t Want to Go Out" (The Graduate), but I always want more of that. Throughout the album, two main influences seem to be clearly represented : country blues, and synthy electro-pop. While I enjoy both genres, the way they clash on some tracks can lead to both delightful and cluttered sections. Almost every song seems to have a level of disco danceability to it, which mostly works but sometimes comes across as somewhat jarring. None of these songs wholeheartedly embrace electronica, but a few definitely commit to being blues roots. This leaves the whole thing feeling a bit confused, like an EDM producer was handed a pop/blues album and told to make what he could of it. Luckily, all that confusion only detracts majorly from a one or two tracks, leaving the rest quite enjoyable. There seem to be a lot more overt religious references peppered throughout this album. Although I can’t say I fully understand any of the songs’ deeper meanings, as I’ve undertaken this review pretty rapidly. It’s also an interesting observation that this is the first Nerina Pallot album without her face on the cover. You can make of that whatever you like, but I’d say it’s because she’s trying to put the focus on the music and away from her. So, have you ever heard of Nerina Pallot? What’s your favourite of her songs? Did you pre-order The Sound and The Fury? What do you think? Did it live up to your expectations? Have I said anything you disagree with? Tell me & everyone else who passes through here what you think in the comment below.